Once again, it is the time of the year, where adventurous and fun-loving folks take the opportunity to dress up as fantasy and horror characters as they drink, party and make merry. One of my favourite inspiration sources would be the box office and with Halloween being just around the corner, there has been no lack of horror movies debuting this month as well. I am going to share the sinister and yet memorable characters from each horror show that would make great characters to go as this October 31st. It tops my list and it is also the people’s choice, as it happens to be the highest grossing horror movie of all time, even surpassing the previous record-holder, The Exorcist. Pennywise the dancing clown or Bob Gray is the main antagonist in the film and has revived the societal fear of clowns in the masses. I have inkling that we might be seeing many more creepy clowns on the street this Halloween. So if you do not want to be just one of those crazy, scary clowns in the crowd then another alternative would be to don on a yellow raincoat, cover your face in fake blood and carry a red helium-filled balloon. Or even better cut off the sleeve of one side and leave it bloody-looking for a more terrifying style. 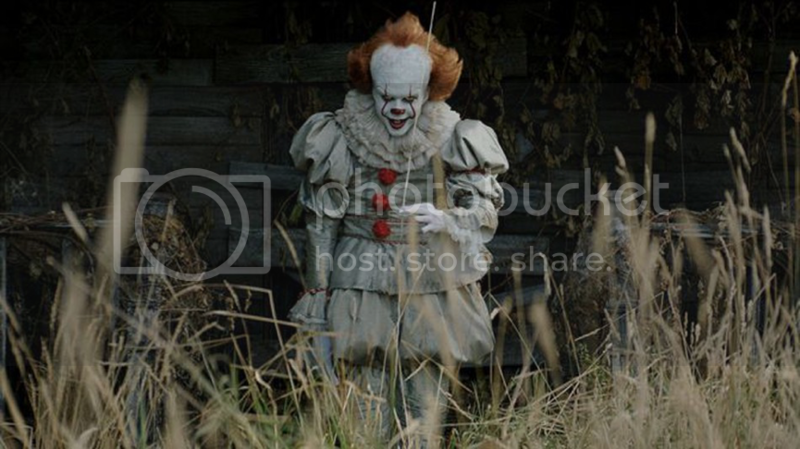 If you have been following It on social media after its release then you would have learnt that Pennywise has become an icon for homosexuality and being shipped with the antagonist of the 2014 Australian horror movie, Babadook. Despite being from a horror movie three years ago, Babadook still continues to strike fear into the hearts of many to this very day. 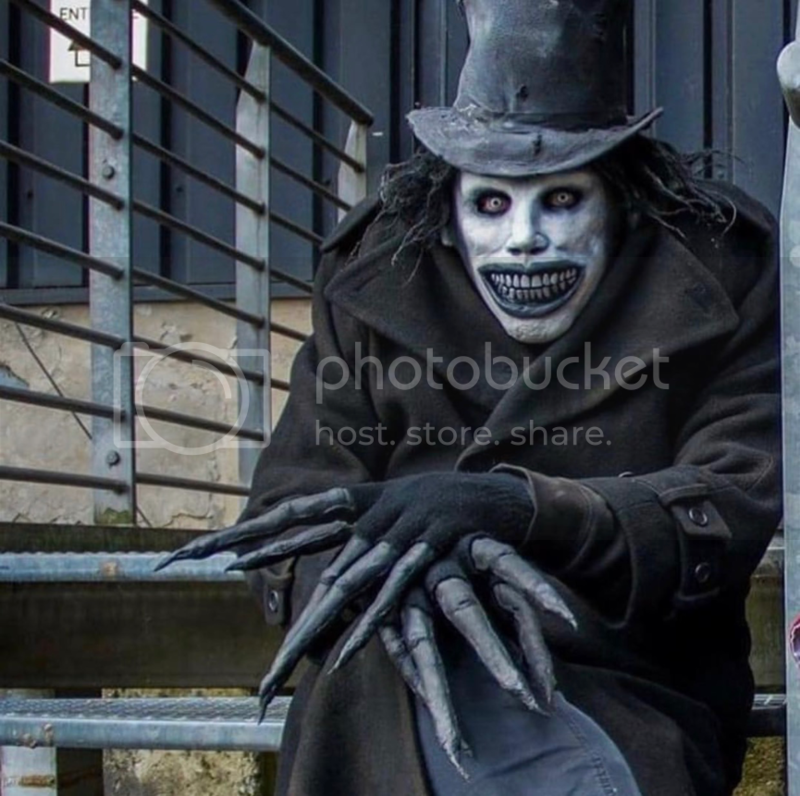 The Babadook overall costume looks simple to recreate. One would need a large black coat, gloves and top hat would set the theme. You better pray that it would not be too hot that night as I cannot imagine how hot and stuffy it is to be trick-and-treating in a long coat. But the challenge to getting the look right would be the face painting that would require some skills. The long gruesome nails could be recreated by spraying some fake nails or finger props with black spray. I would definitely suggest getting the white contact lenses for a more authentic feel. Annabelle returns to screens with a second movie that travels further back in time to reveal the origins of this haunted doll. To be honest, dolls especially the vintage ones have always given me the creeps no thanks to the many horror movies dedicated to evil trapped or inhabiting a seemingly harmless toy. 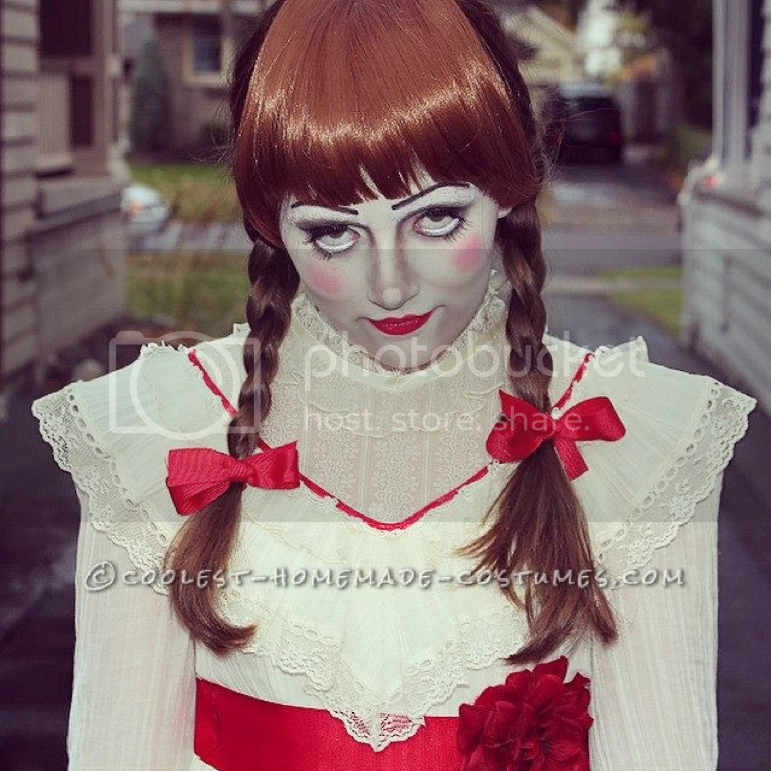 You could attempt to go as a life sized Annabelle doll which is pretty easy to recreate. It would be great if you had long hair to style into two braids, while a simple white dress with a red sash would suffice. However, for a more authentic feel, you could purchase the dress off Amazon. Yes, they actually sell it as a costume. And there you have it, this is my personal favourites for the three horror movie inspired characters you could go as this Halloween.